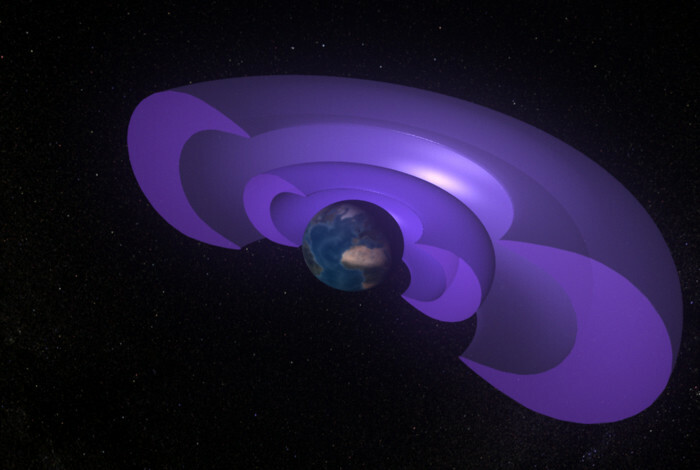 The recently launched Radiation Belt Storm Probes (RBSP) mission, which is studying the Van Allen radiation belts, has now been renamed in honor of the late James Van Allen, who discovered the radiation belts encircling Earth in 1958. During his career, Van Allen was the principal investigator for scientific investigations on 24 Earth satellites and planetary missions, beginning with the first successful American satellite, Explorer I, and continuing with Pioneer 10 and Pioneer 11. He also helped develop the first plans for an International Geophysical Year was held in 1957. Van Allen, who worked at APL during and after World War II, also is credited with discovery of a new moon of Saturn in 1979, as well as radiation belts around that planet. Launched Aug. 30, 2012 from Cape Canaveral Air Force Station in Florida, the Van Allen Probes comprise the first dual-spacecraft mission specifically created to investigate the radiation belts that surround Earth. These two belts encircle the planet and are filled with highly charged particles. The belts are affected by solar storms and coronal mass ejections and sometimes swell dramatically. When this occurs, they can pose dangers to communications, GPS satellites and human spaceflight activities. Find out more about the mission here.